As Easter weekend in coming to a close, Michelle and I took Freddy out for a shake done cruise around the area. 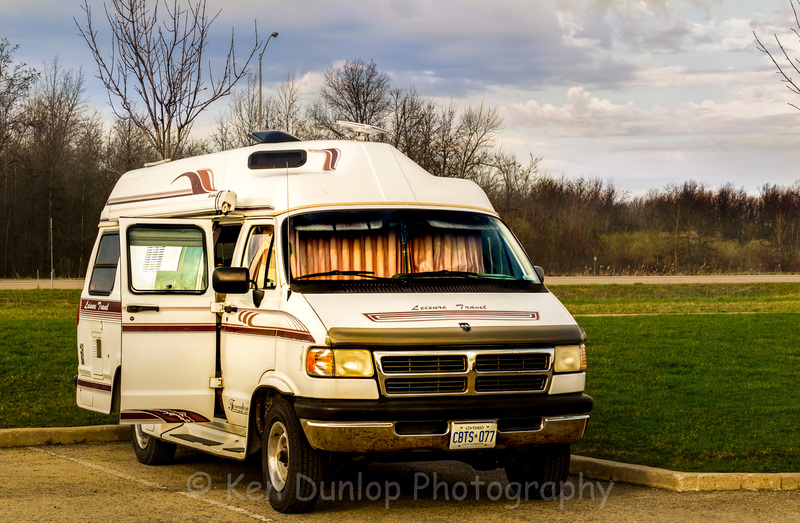 We specifically were looking for experience in the area for VanLife Boondocking. From our research, Ontario is not the place to boondock. We started slowly, wanting to feel things out. Friday had us head off to the local Walmart to purchase some of the much-needed items to make Freddy our comfortable home. We found some great deals on bedding, pots and pans, and other items we felt were important. After the shopping excursion, the rest of the day was spent setting things up. Michelle had such a big smile on her face as we worked to bring our new home together. Putting away things in places we feel would work, and to organise our tiny home on wheels. We headed over to the Lowe’s parking lot right near the Starbucks Michelle works at, because she needed to go to work in the early evening. Michelle wanted to nap before her shift, so we opened the roof vent, closed the curtains and crawled into bed. No one seemed to notice us at the back of the parking lot. Our first boondocking seemed to be working well! Michelle’s shift was until 22:30, and it just so happened our home was just outside her work door. It was perfect, out she came, climbed into Freddy and we drove off. My first thought was to head down to the old Tallship near Jordan River to enjoy a sunrise over Lake Ontario. It was late, and Michelle had to work in the morning so we thought better of it. Instead, we headed down the QEW towards Fort Erie and decided to stay at the Flying J at exit 5. 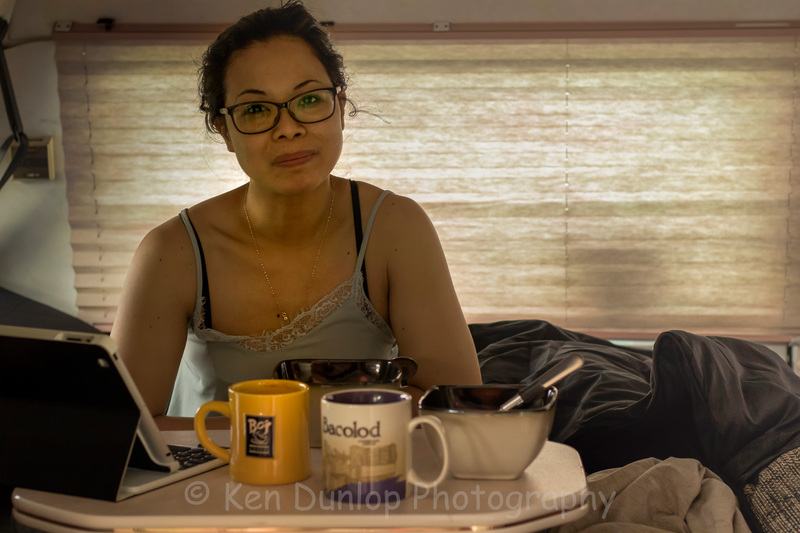 Flying J Truck Stop – Boondocking Heaven! Ok, I know a Truck stop is not really boondocking, but for a couple of newbies, it’s a great place to start. Flying J’s have showers, laundries, Sani dumps ($10.00) as well as a restaurant if you’re tired of cooking. Oh, and they make a mean pizza!! Once we arrived, the first words out of Michelle’s mouth was “Pizza Hun”, so we went in, used the Comfort Room, and I got Michelle and couple of slices of pizza. Afterwards, we headed off to the parking lot to find our place to spend the night. With it being a long weekend, there were so many good open spots for us. I decided to head way down to the back of the lot, near the Oil and Lube place and backed into the parking spot with our bedroom facing the highway. We crawled into bed, and off to sleep, we went! How I know Michelle had a good time, take a look at the smile on this ladies face! Is there any doubt she loved the weekend of firsts!